Use this article to troubleshoot issues with remote installation of Acronis Backup components. 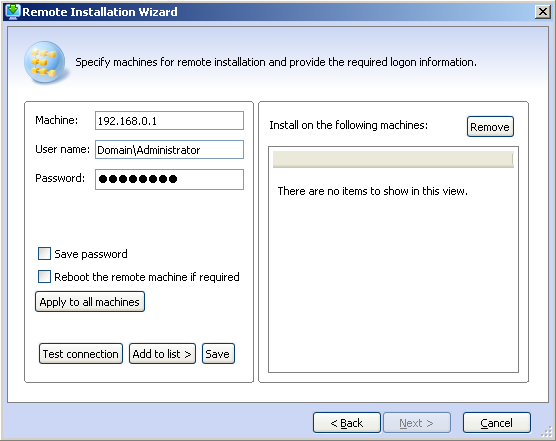 If you are running Windows Vista or a later version and you are not in domain environment, disable User Account Control (UAC) on the machine: Control Panel -> User Accounts -> Turn User Account Control on or off. Check the firewall settings on source and target machines: see Firewall settings for Acronis products; if possible, try turning off firewalls on both source and target machines. Acronis Backup uses TCP ports 445 and 25001 for remote installation. (!) Do not stop Windows Firewall service as a measure of turning off firewall on Windows Vista/7/2008/2008 R2/8/8.1/2012/2012R2. 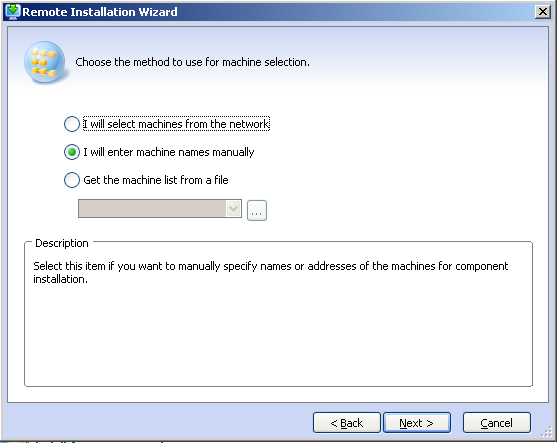 You can turn the firewall features off by using the Group Policy settings described in this Microsoft TechNet article. If the above recommendations do not help, the issue may be not with the remote connection part, but with the installation itself. Try installing the product on the target computer locally. If local installation fails as well, please proceed as described in Creating an MS Installer Log of Acronis Software and Analyzing Installation Logs of Acronis Products Based on MSI Technology.